It's hard to believe 2019 is right around the corner. It's now time to look forward and return to our plans for the fence on Highway 318. This year due to the drought we have seen more wild horses on highway 318, more often than ever before. Highway 318 runs through the southern boundary of the Sand Wash Basin Herd Management Area. The south side of 318 is fenced, we would like to see the north side also fenced. Fencing the north side would prevent access to 318 for the wild horses. It would help prevent the loss of a human life and the loss of more of our wild horses from vehicle / wild horse accidents. 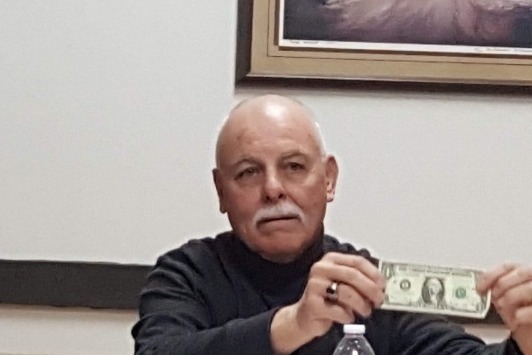 On Dec 14, 2018 Wild Horse Warriors attended a meeting coordinated by Ray Beck, a Moffat County Commissioner. Attending the meeting were Colorado Department of Transportation, Colorado Parks and Wildlife, the BLM and Wild Horse Warriors for Sand Wash Basin. We discussed the fence WHW would like to see installed on the north side of Highway 318 to keep our wild horses off the highway and to help keep the motorists safer as they travel through our Herd Management Area. 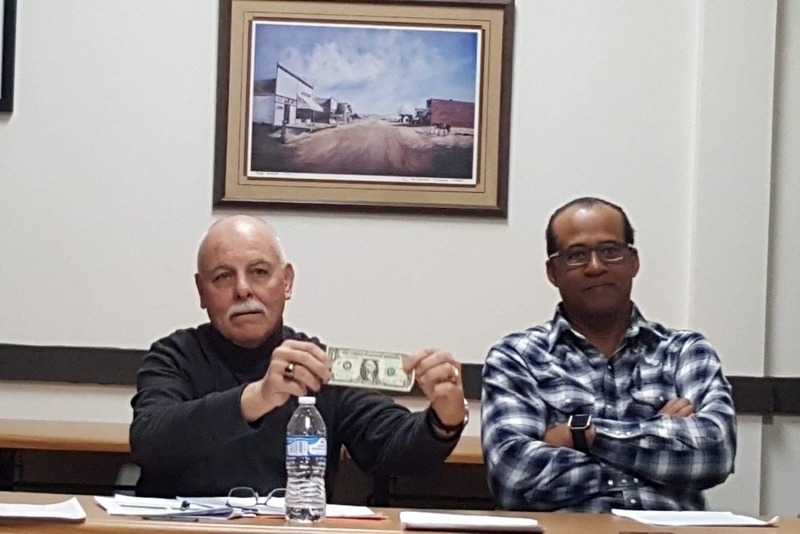 Ray Beck, Moffat County Commissioner donated the first dollar, in a gesture of Goodwill to moving the Fencing Project FORWARD to build the fence on Highway 318. WOOHOO. Craig Daily Press and The Fountain Valley News were both present and will both be running articles at a later date. As soon as those are published we will post links. They will probably give you a better view of all the details and anyone that was there that I might have missed. The bottom line is, that all agency involved are government agencies and there is red tape, always red tape. But NO ONE SAID NO!! There was a lot of discussion about who could, or could not, and how each agency would have to proceed, but again EVERYONE there agreed that they would go back to their desks and put together a list of what needs to happen and what requirements each office has to meet. The agencies have all agreed to meet again very soon to discuss their individual agencies requirements and see if they can come up with a time line. In the meantime we will continue to move forward with new signage to warn the motorist of the dangers of the wild horses on the highway, and look at more short term options. While we were presenting WHWs thoughts we talked about the number of warriors the wild horses have. There are over 2 million people who follow the wild horses in Sand Wash Basin!! One of the main points all agencies referred to again and again was the cost of the fence. At one point it was suggested that if each of our 2 million followers donated 1, yep just one dollar the entire cost issue would go away. Donations received after Oct 1, 2018 will be used either to continue hauling water, improvements to water sources, wild horse warning signage, or fencing projects. Below you will see a summary of how your donations have helped. We started hauling water July 5th. Since then the amount of water we are hauling increased almost daily. At first we were able to keep up with the demand by having volunteers haul water. Now we have a water hauling company, Bethell, hauling, at least, 3400 gallons a day. We brought in a large storage container for the water that holds 15,000 gallons of water. It has allowed us to fill the two 625 gallons tanks that are on a trailer, without going to Maybell. It has allowed us to deliver water on demand to our wild horses in-between the water companies trips. Each day we delivered water cost over 400.00. With the call placed on the Yampa River the location that we were buying water was not able to continue supplying us with water. Bethell was able to locate another water source, but it is costing us more in travel time and the water is more expensive. With the cooler weather and a few rain showers we are now hauling water every other day. Follow our progress on Wild Horse Warriors for Sand Wash Basin's Facebook page. Please add Wild Horse Warrior in the memo box. Installing a fence on the south side of 318 will in no way prevent the wild horses from getting to water. At the Dec 14, 2018 multi agency meeting a representative of CDOT stated that if the public was behind the installation of the fence on 318 that would help our cause. WHW is preparing a letter to send to CDOT showing the support of the fence on Highway 318. If you would also like to write a letter, I have included the address, you should send it to. If you chose to write a letter, please remember to be respectful. Wild Horse Warriors honors our working relationship with all agencies involved. We believe that working with the agencies and not against them will gain us more, faster. Michael Goolsby is CDOT’s Regional Transportation Director for Region 3.